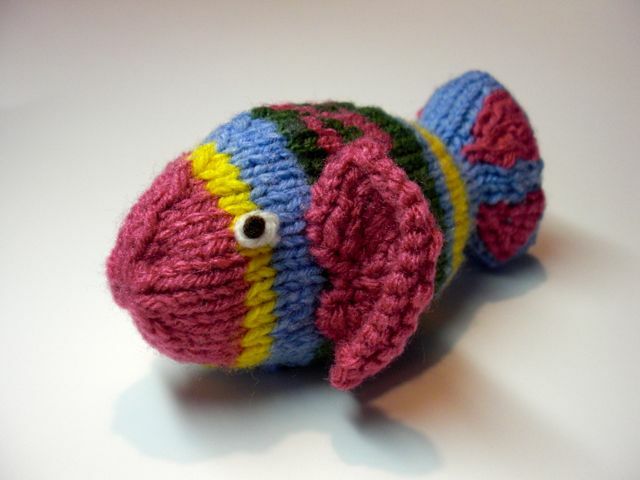 I finished my first knit toy from the Knitted Toy Tales pattern book. 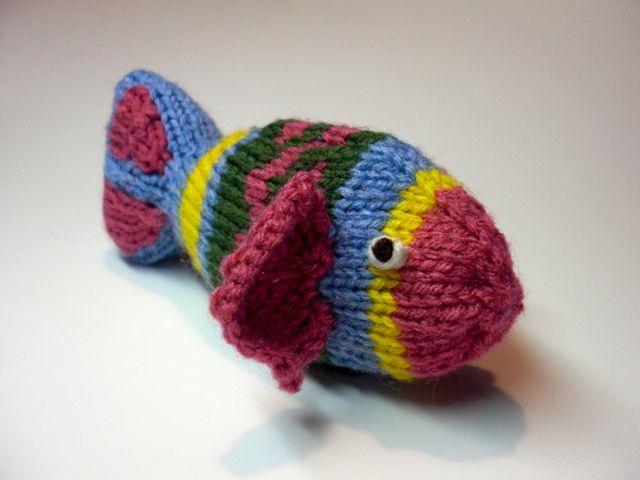 I knit this adorable little fish and love having him swimming around the house. 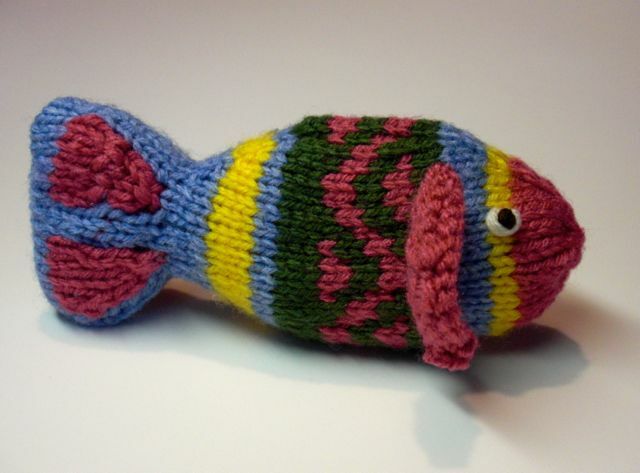 This pattern allowed me to learn new skills (intarsia and fair isle) and have a cute finished project in a short period of time. Once the main body knitting was complete, I did duplicate stitch over the colour mistake in the tail fin (which ended up looking pretty great). Next I stuffed and seamed the body, bringing him to life. 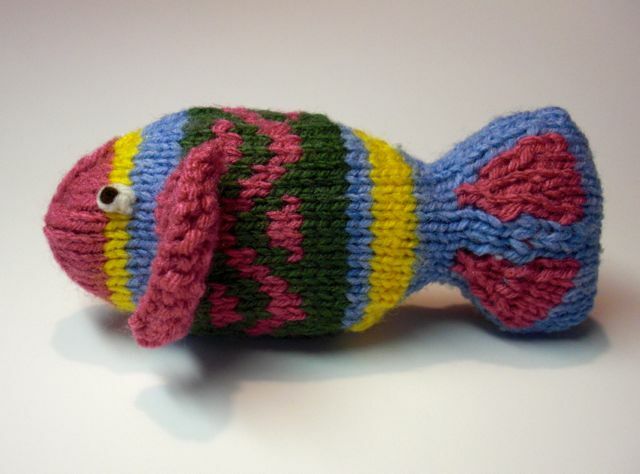 I knit and sewed on some fins, and embroidered on his little eyes. I love the way he looks. Thank you. I was surprised how much I liked the finished product. Now I have this little guy hanging around the house. Oh my good gosh, that is super cute. Wiggy would love to play with that. Thanks. I think it is so cute! It was a great learning process to make it too. I would totally let Wiggy play with it. She would give you the biggest kisses. She's big but so snuggle-friendly.